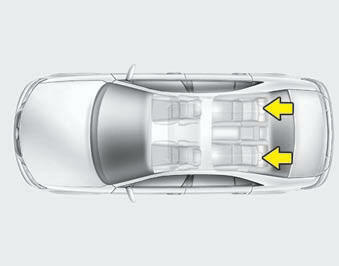 The rear seat(s) is equipped with headrests in the outboard seating positions for the occupant's safety and comfort. 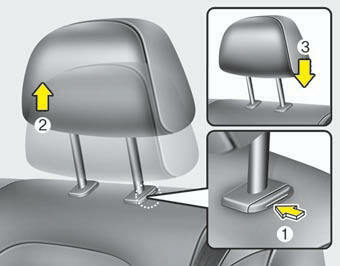 To remove the headrest, raise it as far as it can go then press the release button (1) while pulling the headrest upward (2). 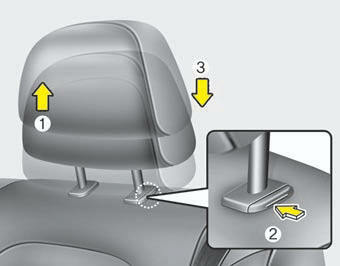 To reinstall the headrest, put the headrest poles (3) into the holes while pressing the release button (1). Then adjust it to the appropriate height.